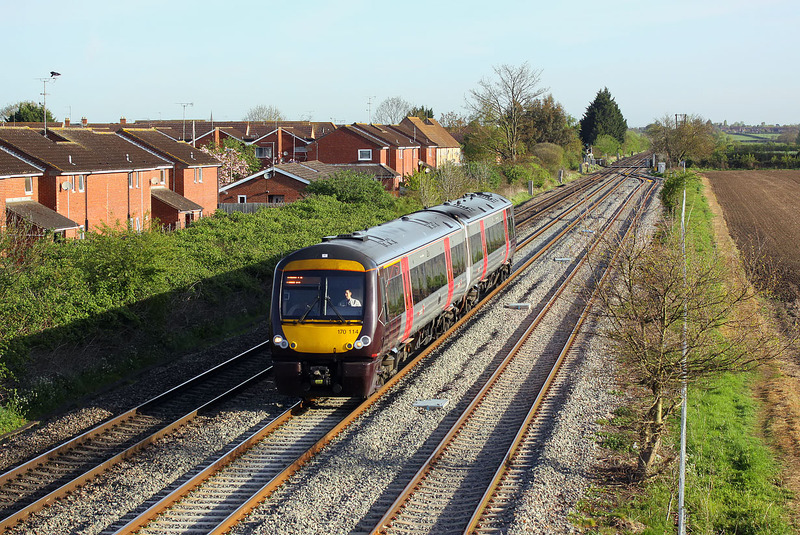 170114 passes Ashchurch on 18 April 2017 with the 1V03 06:00 Nottingham to Cardiff Central CrossCountry service, just as a rook alights on one of the TV aerials on the left. Note the new fence on the right, which is strangely only on this field edge, and not the one to the south. Both fields are used extensively by locals walking their dogs.